Barack Obama is planning on visiting his father’s homeland next week. The US president is attending the 6th Global Entrepreneurship Summit on July 25 and 26. Obama traveled to Kenya in 1987. His illegal immigrant Auntie Onyango met with him during his trip to the third world nation. Obama has no plans on visiting his father’s hometown of Kisumu. He also has no plans on meeting Brother George in the Nairobi slum. Barack’s down-and-out brother George Obama lives in Nairobi. 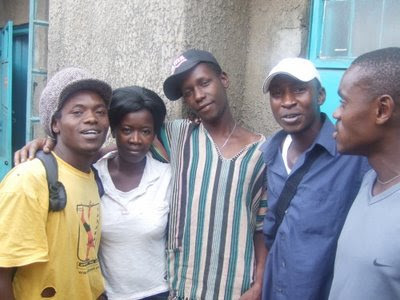 He was tracked down in a Nairobi slum hut in 2008.